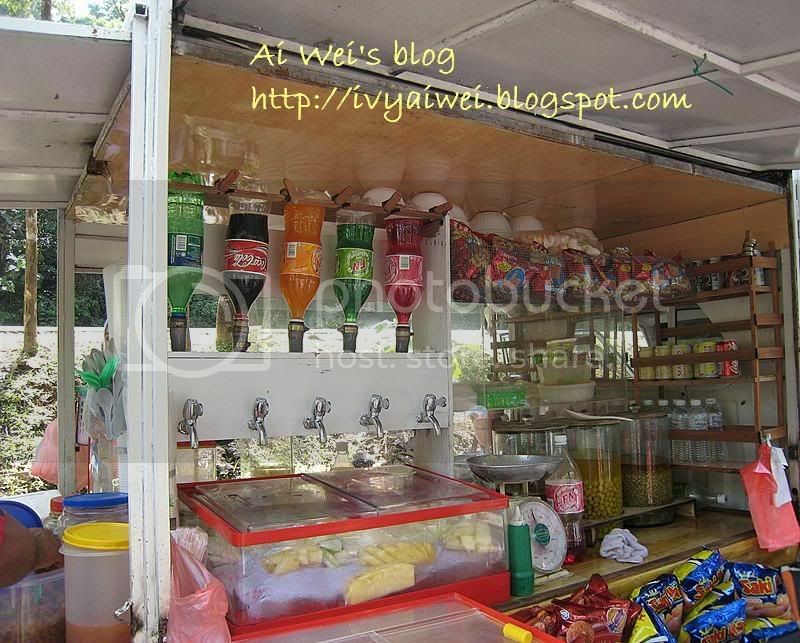 When we were on our way to a beach, I came a across a “we-have-what-you-want” small size lorry vendor. This lorry business was run by a wed-couple. The pakcik n makcik were selling a wide variety of snack such as fruits, drinks, chips and others kacang-kacang. That’s really clever. 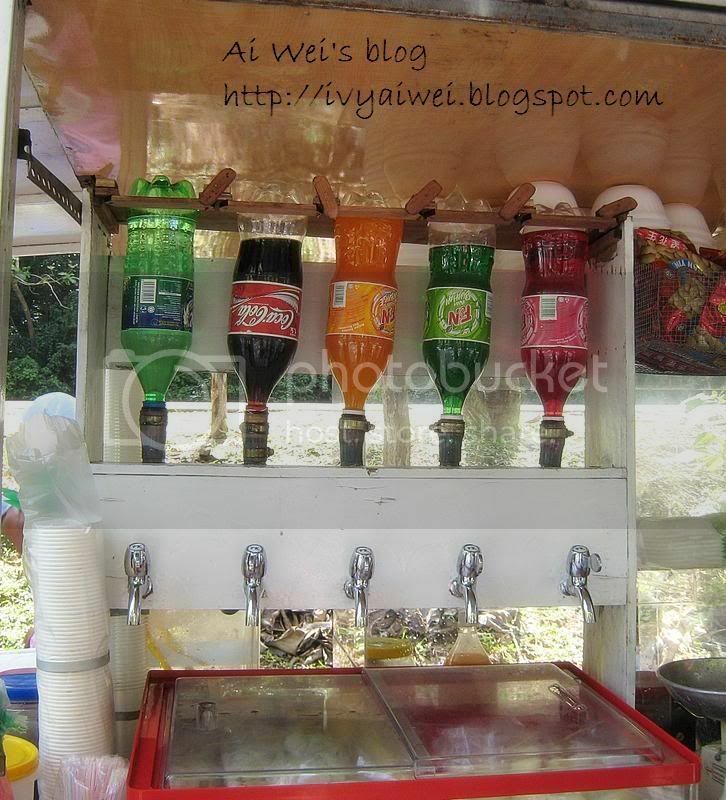 They have this own-built-inverted type of soft drink machine. They even use the water taps to control the flow of soft drinks. Cool isn’t it?! it was a ‘wow’ from me when i first saw this! mmm.. like this also can!!? veri kewl! maybe can do that the next time i have a party..haha! Hahaha…a soft drink “BAR”, cool! ahaha, funny hor?! but it is a briliant idea that they come up with something like that. u can do so and everyone will think u are the briliant n special one. hehehe! Will the soft drinks flow out too fast? Did u try to buy n c how it works? wouldn’t the soft drink be out of gas ? aik, I have the same thought too with ling and timothy. er… i didn’t try that out and never thought of trying it out. so, i dunno the flow and stuff. Haha, haven’t seen this before but it definitely looks cool. it’s like a mobile bar. ya, it is quite a good idea to DIY but do figure out the solution if the gas leak or something. food and beverage industries are now very competitive. i wonder what’s up in the next 5 or 10 years?! hehe, really can’t imagine.